Stop in and pick up some good tips - they’re free. Little League Player & his towns assoc! A super star boy all of just 13-years old was killed by a pitch in Arizona Little League game Tuesday May 31st, 2011! The boy was simply at the plate, turn to bunt, and as the pitch came in it struck the 13 year old in the heart area! He gets up and takes two steps to 1st base, and then he collapsed. The ball hitting him where it did, stopped his heart entirely, this is a condition medically referred to as commotio cordis. The 13 year old was almost immediately transported to the nearest hospital, but he never recovered and was pronounced dead on Wednesday morning June 1st, 2011. Words cannot adequately express our sorrow on the passing of this player and many others over this season, say CEO of SWG Dr DJ and owner of www.HeartGuardForBaseball.com ! Our thoughts and prayers go out to this family, all the players and volunteers of the Little League there, his classmates, and his friends, at this difficult time, and may god grant the pitcher of the ball in this issue to always know it wasn't his fault. Dr. DJ believes what is the fault here and has been around the country is, leagues will not mandate the use of the heart guard shirts and parents claim there to high in cost. Dr. DJ knows for a fact, had this 13 year old been wearing a heart guard shirt in this issue he would be alive today! Then Dr. DJ wants you to know, you need serious help! The story above is someone else in the days and months ahead, that doesn't wear these life safety shirts"! PLEASE BUY A SHIRT ASAP - As the game has changed over the years, and these shirts do save lives! FREE SHIPPING IS WELL WORTH a Child's or Adult's LIFE! "The loss of a child is incomprehensible, say's Dr. DJ on or off the any field"," Dr. DJ works daily trying to get parents and park board to issues these shirts! 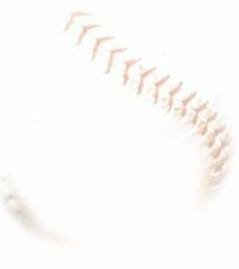 This child death now marks 488 deaths within 2011 in kids baseball 14U around the USA. Dr. DJ thanks, Markwort Sports for making sure each season these shirts are available!